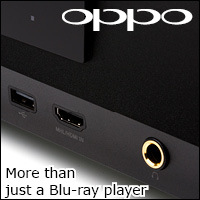 High-end audio products are often subcategorized by a single factor. For instance, in the mid 70s, many speakers built in California had a “West Coast Sound” characterized by a forward treble and somewhat forceful bass. Meanwhile, speakers from the other side of the country were said to possess an “East Coast Sound” favoring midrange accuracy. While it’s tough to pigeonhole modern speakers according to such parameters, speakers from Denmark seem to share a natural tonality and an ability to capture the essence of instrumental texture without calling attention to their presence. Dali excels at these aspects. Its new F5 Fazon loudspeaker takes prior achievements two steps further by combining timeless styling with great sound and a small footprint. 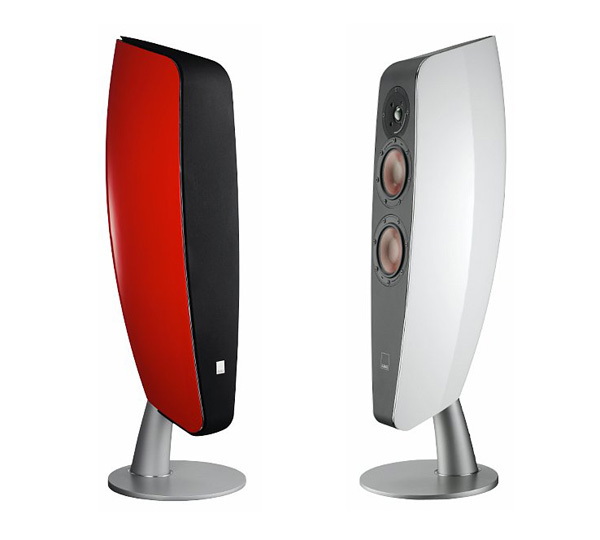 Available in gloss black, white, or red, the Dali F5 is gorgeous to behold and will look right at home in the most fashionable of homes. Best of all, at $4,495, the F5s are affordable works of art. Beautiful woodwork is a Danish hallmark, and Dali has always offered great cabinets. Throwing a wrinkle into traditionalism, the curvy F5s are machined from a block of aluminum. 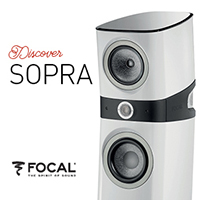 The speaker features an absence of parallel surfaces in order to keep to a minimum any cabinet resonance. The three-driver complement works in a 2 ½-way configuration, with the crossover points set at 800 and 3200Hz, respectively. Dali maintains that their incorporation of wood fibre mixed into the pulp cones utilized in the dual 5-inch woofers are significant contributors to the model’s natural sound; adding increased cone stiffness and a more randomized structure. It also helps with the inner damping of the cone, a claim that only a few minutes of listening confirms as true. I have a personal preference for soft-dome tweeters; I’m always willing to forgo a smidge of ultimate resolution in the service of timbre. And here, the F5 delivers with a 1-inch soft dome tweeter that, as Ice-T would’ve said before he became a “Law and Order” mainstay, keeps it real. A pair of banana jacks flush-mounted in the silver bases and a tiny compartment that allows you to completely conceal your speaker cables round out the form-and-function factor. Acoustically transparent speaker grilles magnetically attach; your décor and offspring will decide whether they should be left on or off. Grilles aside, you should have the F5s playing music in a few minutes. Thanks to fairly wide dispersion, they will not suffer terribly if not aligned just right. If you are in the position to fuss over speaker placement, the F5s yield a bit more bass extension if you can keep them about 18 inches from the rear wall. Since the tweeters rise only 29 inches from the floor, lower seating grants the best imaging performance. Finally, don’t let the 87db sensitivity frighten you: These speakers are incredibly easy to drive and work equally well with tube, transistor, or Class D amplification. 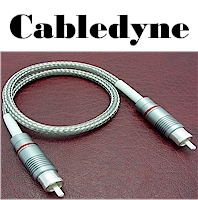 Anything from 25 watts per channel and above should get the job done. The F5’s bass response is solid but not overbearing. At first blush, one might think the speakers slightly thin because the upper-mid bass response isn’t goosed to provide a false sense of thickness. However, when called upon to move air, the pair of 5-inch woofers is mightier than the spec sheet suggests. Sampling Peter Gabriel music, old and new—via Genesis’ Lamb Lies Down On Broadway and his more recent Scratch my Back, respectively—the speakers dispense ample impact. Via the F5s, there’s more than enough oomph on “Back in NYC” to sound convincing and hold at bay any thoughts of a subwoofer. Moreover, textures present in the acoustic bass line of “Heroes” on Gabriel’s latest record affirms that’s what is sonically conveyed is anything but one-note bass. The F5s often remind me of my favorite mini monitors’ midrange clarity. Yet the former take up a smaller footprint than my Harbeth P3ESRs on Sound Anchors stands. Tracking through Pat Metheny’s new What’s It All About? demonstrates how well these speakers keep pace with the guitar icon’s fretwork and harmonics without becoming lifeless and flat. 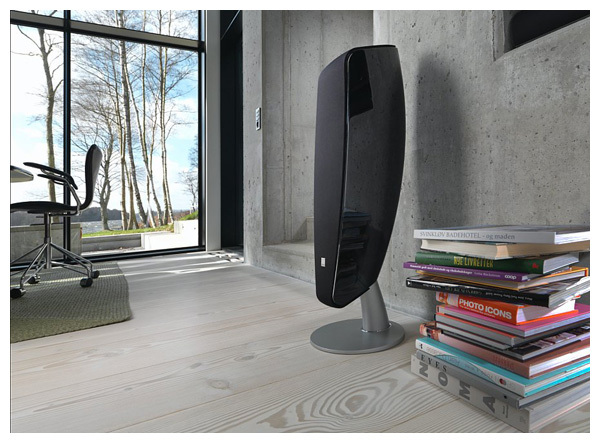 Of course, enthralling midrange and ample bass don’t alone make a fantastic speaker. Thanks to the small woofers, the F5s offer the degree of coherence required to effortlessly disappear in a room. The resolution will convince you that something very special is happening—an experience that allows you to ease back in the chair and focus on the musical event. Vide, “I’m a King Bee” from Grateful Dead’s Fillmore East: April 1971. 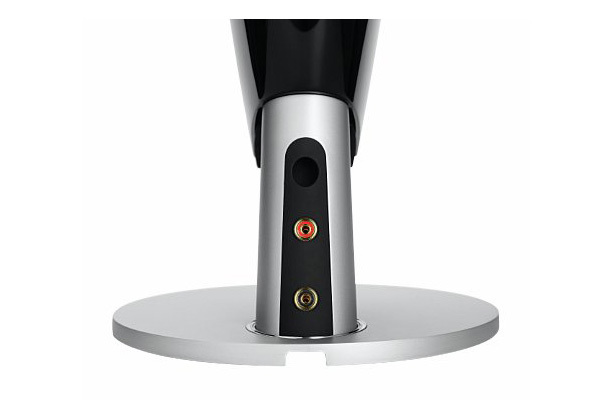 The record boasts a wide range of texture and complexity that challenges the best speakers. Answering the bell, the F5s create a wide soundstage that mimics the Fillmore’s hall ambience. 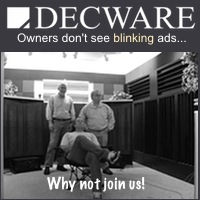 Many speakers make impressive showings during a 10-minute demo. You know the drill: A salesperson plays some plucky guitar bits, runs through some female vocals, and even spruces it up with a touch of classical music or piano fare. It’s often all presented at high decibel levels. Still, you walk away impressed, perhaps so smitten that you reach for your wallet. But somehow, after a few extended listening sessions, those new speakers lose their luster and you’re right back to where you started. A natural feel, which might initially make the F5s slightly less exciting, is what will keep you enthralled with them down the road. Even after full-day sessions with the F5s, they never become tiring. As much as a crammed Sooloos music server gnaws at my inner DJ and tempts me to spin singles, I find myself listening to many records all the way through with the F5s—truly the mark of a great speaker. I just want to stay in the groove, whether it’s with yet another version of Pink Floyd’s The Dark Side of the Moon or Girls’ Father, Son, Holy Ghost. No, the F5s do not present the finite level of “pinpoint imaging” that some more decidedly audiophile speakers possess. However, they throw a full-bodied and three-dimensional soundfield. The wood blocks and triangle in Serge Gainsbourg’s “Douze Belles Dans la Peau” from Chant a la Une illustrate this strength. The triangle sporadically pops in all around the room, while the wood blocks are distinctly left of center and somewhat diffused, sounding just like a pair of wood blocks when I strike them in my listening room. Dynamics are equally impressive. Although small woofers can only move a finite amount of air, these speakers’ woofers give a gold-ribbon performance when faced with heavier fare. Led Zeppelin, AC/DC, and the Who present no problem. But, if your tastes tend towards the heaviest metal, I suggest adding one of Dali’s subwoofers. AC/DC’s “Back in Black” comes across just fine, but Danzig’s “Am I Demon” requires a stronger push over the cliff. Just as important as dynamics, the F5s retain their open character at low volume levels—not always an easy trick and, perhaps, even more telling of a given speaker’s linearity.